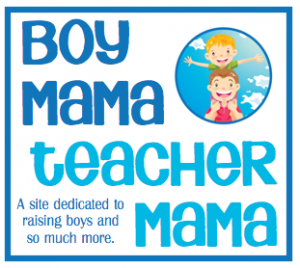 ← Teacher Mama: Games for Practicing Addition and Subtraction and Giveaway! Hanukkah is one of my favorite holidays, but not because of the gifts that are exchanged, but because of the traditions- the foods, the music, the games and the stories. Here is a little bit of information about the holiday and some crafts you can try with your children. Hanukkah always falls on the 25th day of Kislev on the Jewish calendar. Since the Jewish calendar is based on the lunar calendar the date on solar calendar varies each year. 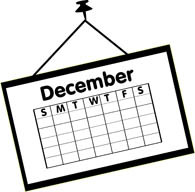 This year, Hanukkah begins on December 8th and ends on December 16th. Want to know when Hanukkah will be for the next few years? Click here to find out. What is the right way to spell Hanukkah? Chanukah? Hanuka? There are many ways to spell Hanukkah and they are all okay. The variations exist because the beginning sound of the word Hanukkah when spoken in Hebrew does not exist in English!! Hanukkah is the celebration of Light. It is the celebration of a miracle that happened a long time ago. It is a celebration of rededication of the Temple after it was destroyed. For the full story of Hanukkah, click here. Hanukkah lasts for 8 days and 8 nights. Each night, families gather to light the menorah, eat special foods, sing songs, play Dreidel and, in some families, to exchange gifts. On Hanukkah, fried foods are always on the menu. The oil that the foods are fried in is a reminder of the oil in the temple that lasted 8 days instead of just 1 day. 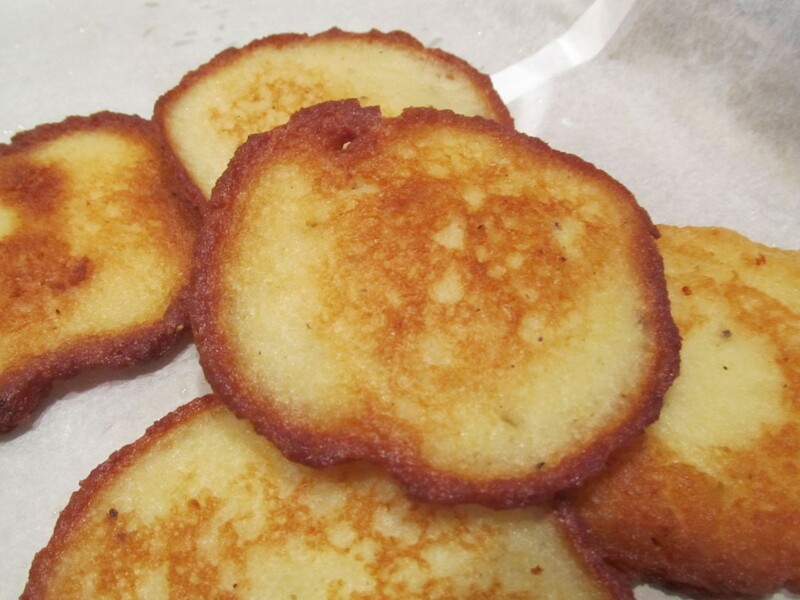 Two popular dishes are latkes (potato pancakes) and sufganiot (doughnuts). A menorah is basically a candle holder with room for 8 candles (one for each night) plus the “shamash” candle (9 total) or the helper candle which is used to light the other candles. Menorahs of all types can be found these days. Here are some ideas you can try with your kids. This one is always a huge hit with children. have the child line the 8 marshmallows side by side along the cardboard putting a bit of icing underneath each one to hold it in place. 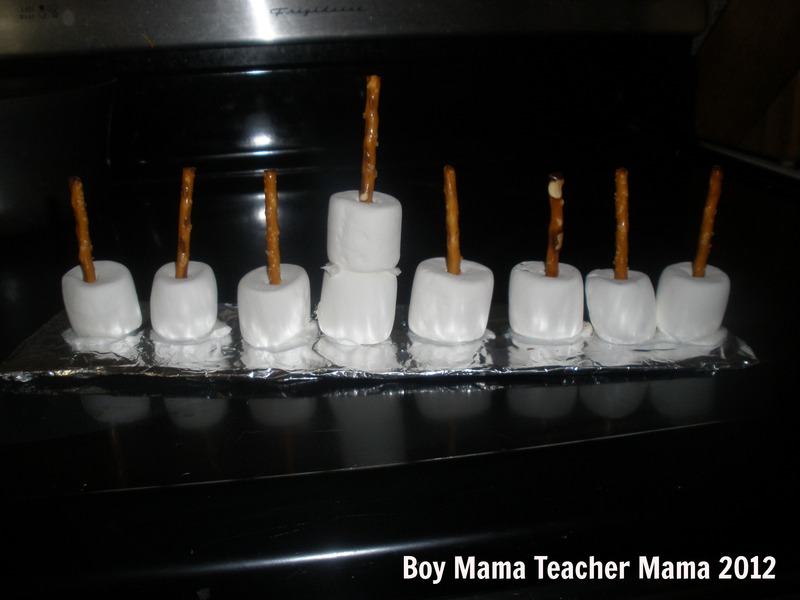 give each child the last marshmallow and have him place it on top of one of the others to create the shamash. Oops! There is one marshmallow candle holder missing from this picture! There should be four on each side of the middle candle or shamash. Clay Menorahs– Using clay that dries, create 9 candle holders (they can be balls, cubes or whatever shape you desire) and put a hole in each one. Be sure one of the candle holders is taller than the others for the shamash. Allow to dry, paint and add birthday candles. 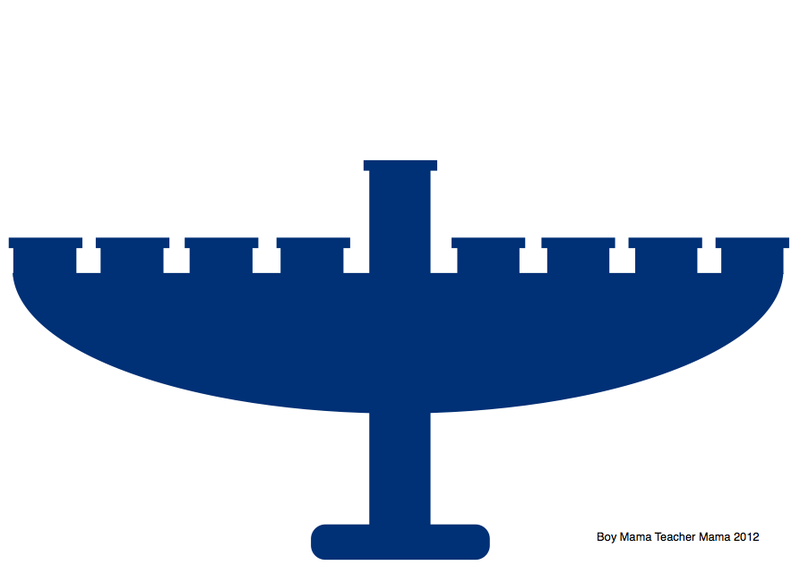 Click Menorah image to print. A dreidel is a four-sided spinning top with a Hebrew letter printed on each side. Below are the directions for play. Note: Gelt are chocolate coins wrapped in gold foil often given as a gift during Hanukkah and are used in the game of Dreidel. Click on image above to print a copy for yourself. 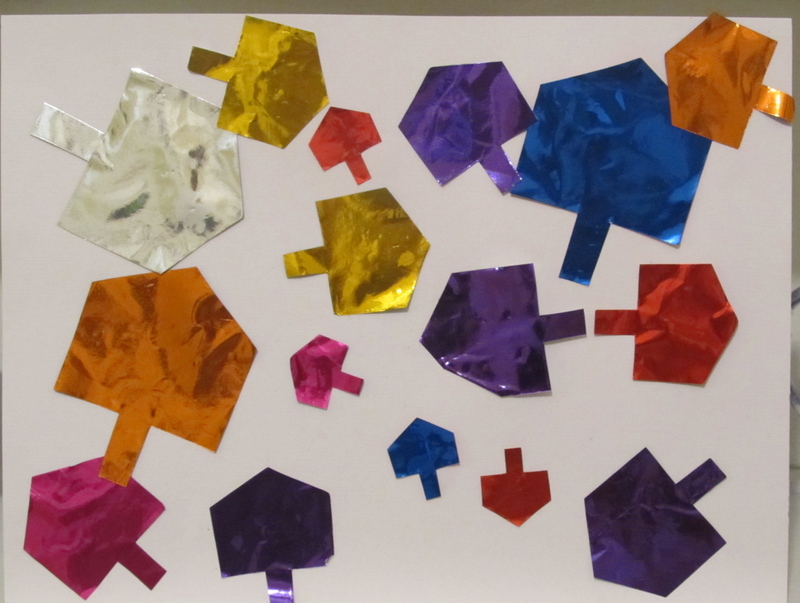 Paper Dreidel— trace a dreidel shape on paper and cut it out. Paper Dreidel Garland-– trace and decorate several paper dreidels, tape them together or attached to string and hang for decoration. 3D Paper Dreidel– Cut out two large dreidels, fold each one in half and join them with a staple at the folds. Dreidel Collage- Cut out several dreidels (different colors and sizes) and glue them to paper. These are some of the traditional Hanukkah songs sung by various artists. Click the link to hear the song and see the video. Be a Dancing Dreidel. Spin and spin and then fall down! Dreidel Jump– Write the Hebrew letters from the dreidel on large pieces of paper and spread them around. Name a letter and have children jump to that letter. Dreidel or Gelt Hunt– Hide several dreidels (or pieces of Gelt) around the room and have children find them. Hello! There is still no link to the full story!!! Would love it you can still find it. 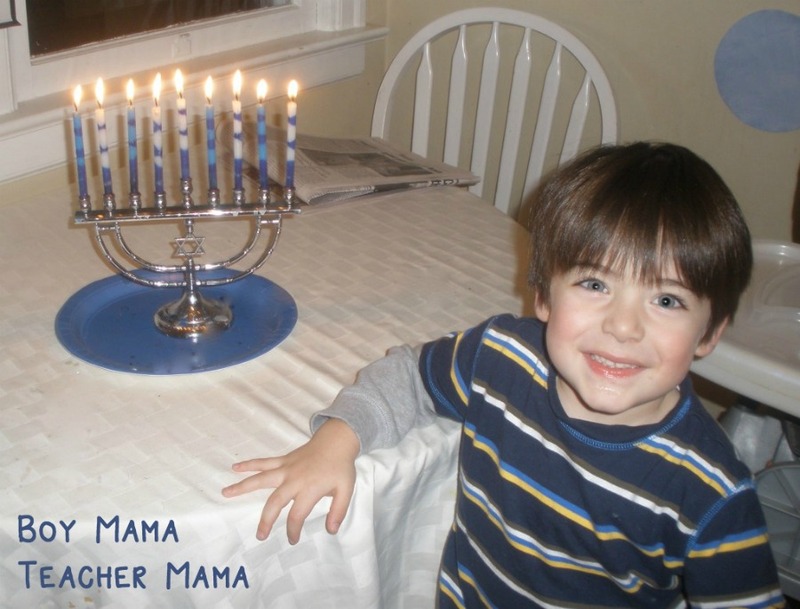 We are not Jewish, but we love to teach our kids about Chanukah every December. I think it is important to encourage respect and being informed of sacred traditions around the world. 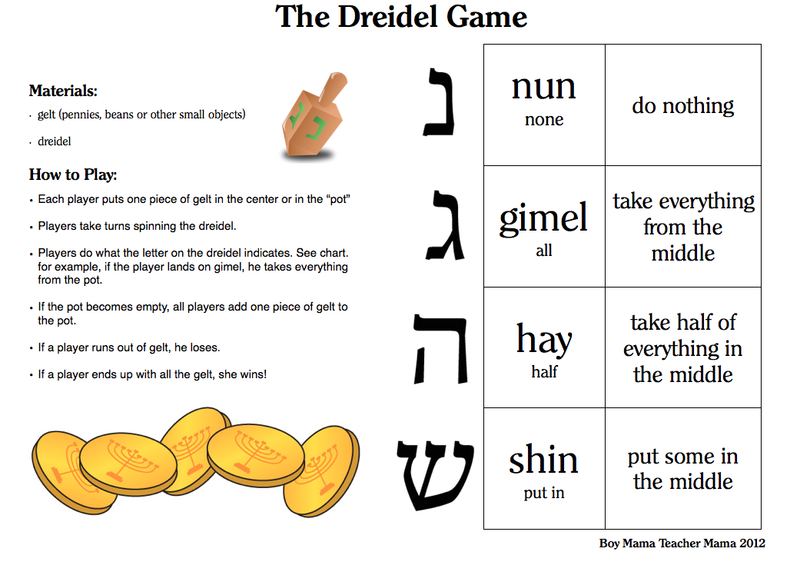 Love your Dreidel printable! But I love that yours is freestanding. Mine is stuck on the cookies. Love the edible menorah. It is terrific and I’m going to make it with my four year old granddaughter. By the way there should be four single marshmallows (candles) on either side of the double center marshmallow (candle). Your edible menorah is hilarious. My boys would love it! Thanks for the heads-up! I will fix it asap! As usual. You Rock! Thank you for your great ideas. 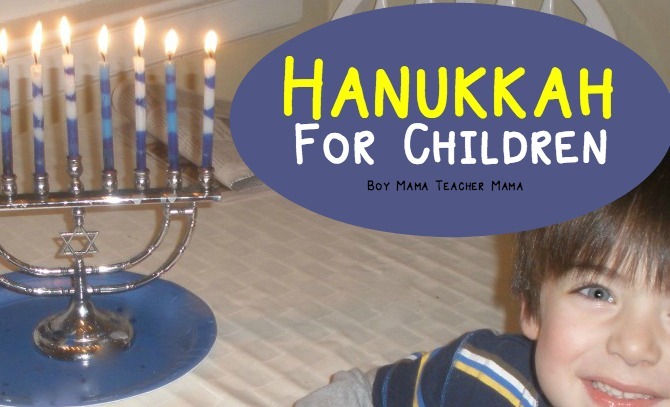 Always looking for away to involve the kiddos more in our Hanukkah celebration! So glad you like it! There is more on the way!! !